The story takes a huge back seat here. There is no Story! 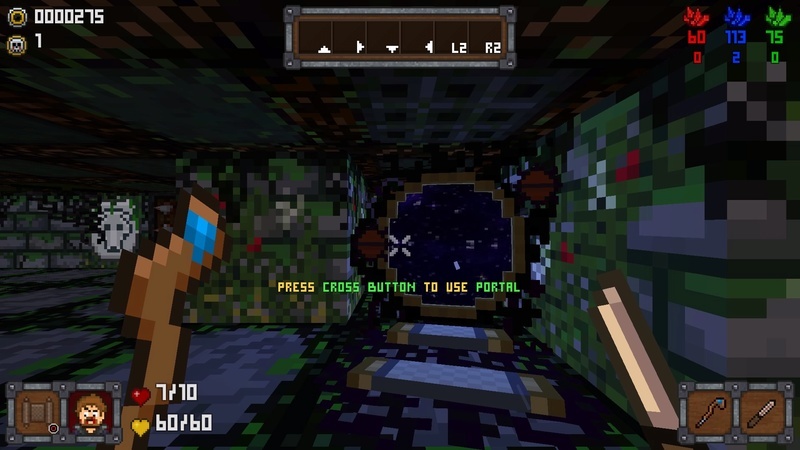 This an indie first-person rogue like game developed by Staley Snail. You play as a nameless adventurer who starts in a randomly generated dungeon filled with traps, dangerous animals/monsters, blockages and secret doors. This game is insanely hard! You start off with two weapons each time, a dagger which is actually a butterknife and a magic staff of either fire, ice, or wind. The element of your weapon is always random when you start. The dagger you start off with has terrible range and attack power, it's a lot easier to get killed than to kill with this weapon. Most melee weapons in the game have horrible range except for the spear which has increased range which makes engagements easier. Magic staves give you a huge advantage in fights since you can attack from long distances. However, it has limited resources which are indicated by the icons on the top right of the screen. Each elemental staff consumes crystals in order to cast spells. The basic ones only cost their own specific element, however, the higher tier ones consume multiple elements and more resources. A dark dimension. High risk vs Reward. When traveling you can come across rooms with what looks like eyes balls all over the place and a portal. If you take player decided to take this portal you will enter another dimension filled with darkness and creepy things. This dimension could be loaded with monsters, traps, or just puzzles. In these portals, there is some mystical artifact hidden. 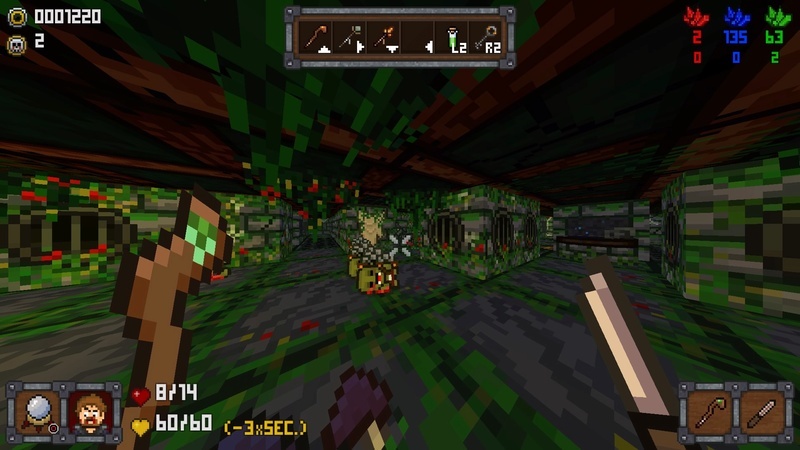 Each one of these artifacts grants the player an ability that consumes sanity points which are represented by the yellow hearts on the bottom left of the screen. The more you use the artifact the more it consumes sanity. The more sanity you lose the screen gets narrow and darker around the edges, once it hits zero your character will kill himself slowly. 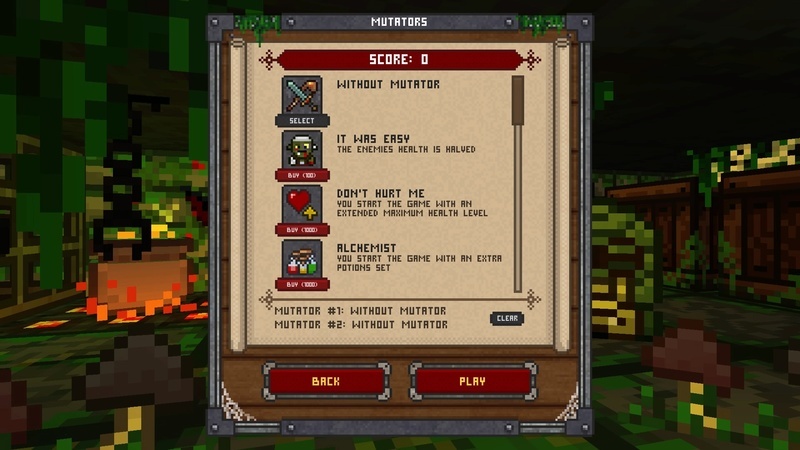 You can regain sanity points by defeating enemies. In order to get to the next stage in the game, you need to either find a seal or kill a boss monster on the floor for one. Then find a door with a lock on it. Proceed through the door and you're on your way to newer challenges and more dangers with rewards. The game does have some in-game stores that sell potions and weapons and the currency you need is coins with skulls on them but since everything is up to RNG (Random number Generator which is used to calculate chances, drop items, items in a level and so on) finding coins is not so easy in this game. 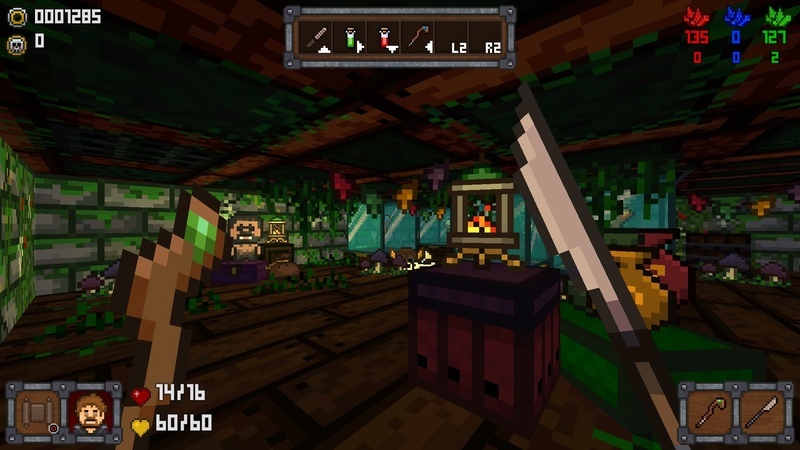 The game also offers a cheat shop at the start screen which alters the game in numerous ways such as giving the player more starting health, decreasing the enemies health by half, color palette swap and so on, make the game harder. I honestly have no idea why someone would make the gamer harder than it already is. This is the cheat shop, you can get score by doing well in the game. have the funds you can't buy. Many of the monsters in the game can outright kill you in mere seconds especially those rats! You have to play this game carefully if you want to get far. It's super easy to get ambushed by monsters. 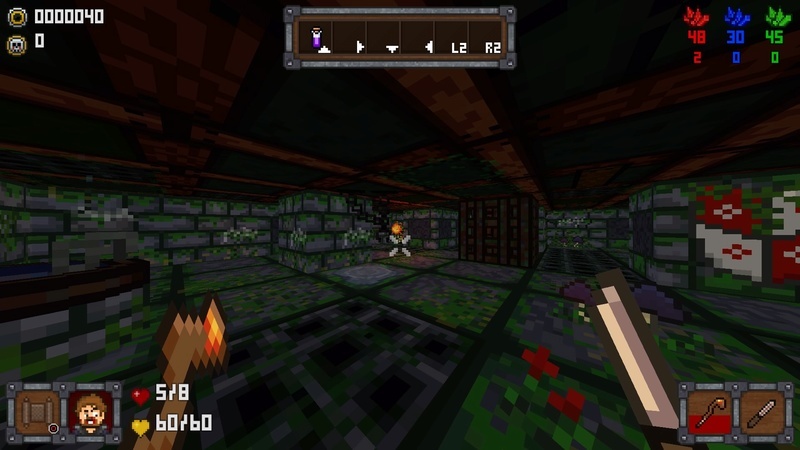 And sometimes the fastest monsters in that level hide in crates/boxes that you need to break to progress with the level. The game handles controls pretty well, so no sliding, no jerking, or awkward pauses, and you can adjust the sensitivity on how fast or slow your character can look around. Getting eaten to death is a horrible way to go and the only weapon was a butter knife. 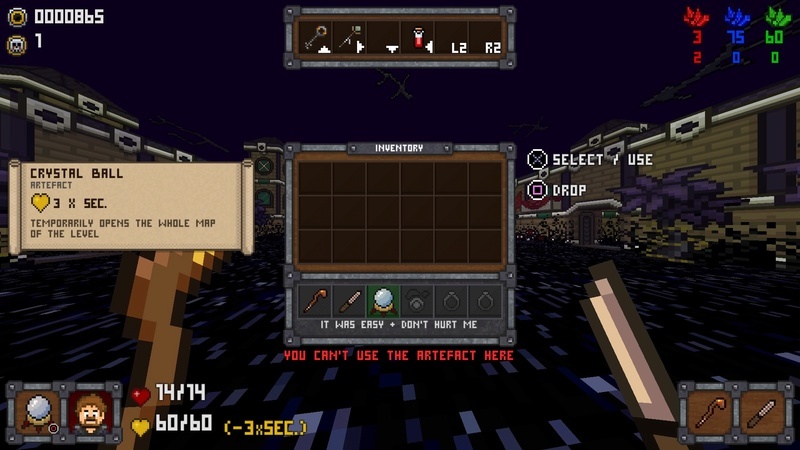 It's retro style graphics mixed with Minecraft. It's okay and may appeal to retro gamers. However, some of the enemies are hard to figure out what they are. Personally, I believe they could have done a little better with the detailing of the designs. Pretty bland, the music gets the job done of having music in a game and for the theme setting for whichever random dungeon you're in. 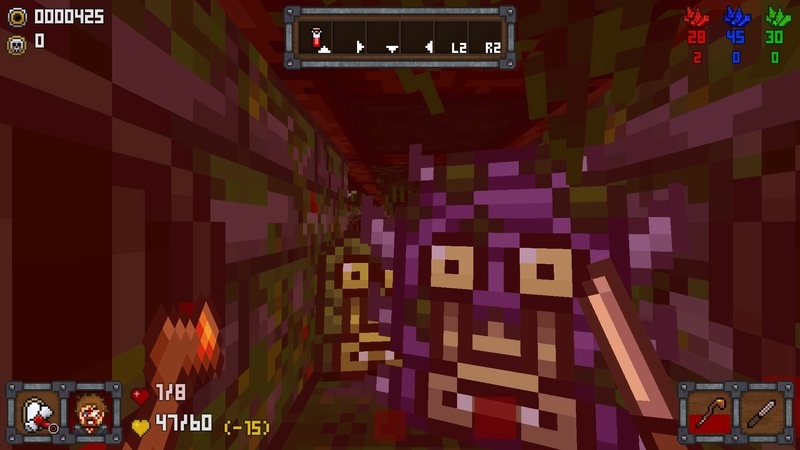 One more dungeon is quite a difficult game with retro-inspired graphics. If you like Rogue games and are bored with the other ones out there and want to try something old school There is One More Dungeon here. Sounds awful imo. Great review dude. I'll pass but awesome review @Pennsage! What an awful sounding game lol. I'm really surprised this got a 6, your review sounds more like a 3 or 4. It does feel like a 4 or 5 out of ten. I could see a few people really enjoying this simple game for the retro feel of it alone and some of the weird mechanics.